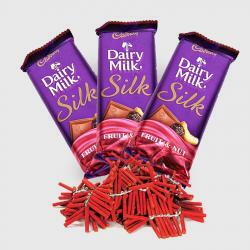 Product Consist : 2 Bar of Dairy milk Silk (Weight 60 Gms each) with Assorted Fire crackers (Worth Rs.300/-) (Note: Types of Fire Cracker are depends upon their availability no specific choice). 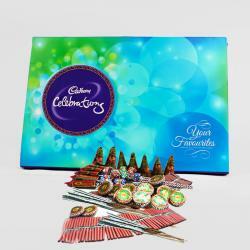 With the boom bang of crackers and sparkling of diya celebrate this diwali with your grandparents. 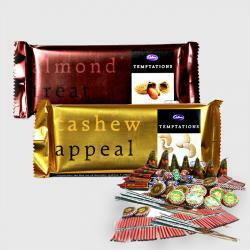 Chocolates are cherished by everybody be of any age. 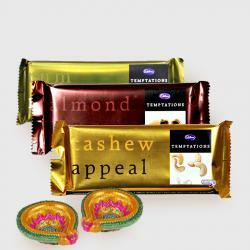 The combo has 2 bar of dairy milk silk weight 60gms each. chocolates are so soft andjust melt in mouth. Enjoy the moment of togetherness this diwali with your grandparents and burn up the diya and fill the sweetness of the chocolates into their lives. This moment of togetherness will be in their hearts forever. 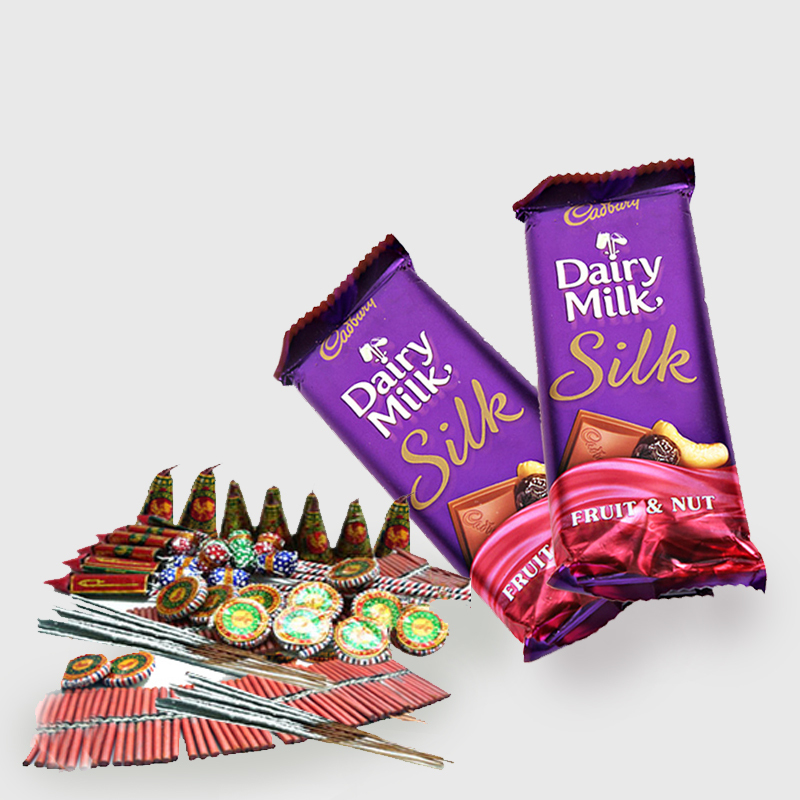 Product Includes : 2 Bar of Dairy milk Silk (Weight 60 Gms each) with Assorted Fire crackers (Worth Rs.300/-) (Note: Types of Fire Cracker are depends upon their availability no specific choice).